Authentic sushi dining with a romantic, original ambience. Our sushi chefs create fresh sushi alongside Hibachi, Robata, Shogayaki, and Teriyaki. 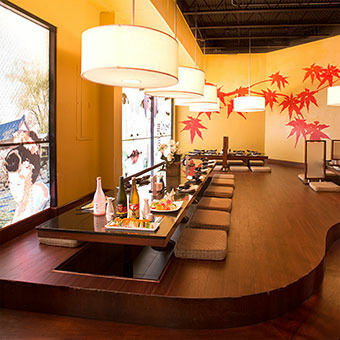 Yoshi Sushi is our authentic sushi restaurant conveniently located in the heart of Seven Mile Beach! • Specialty Maki Sushi Rolls: Mount Fuji, Hurricane, Magic Dragon, Perfect Ten & more! Reservations at this very popular restaurant are highly recommended. 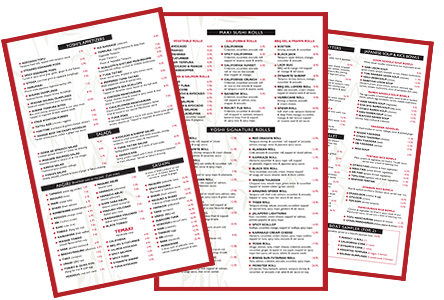 See our big Sushi menu here! Authentic Asian cuisine including sushi, noodle bowls, hibachi & robata dinners. Vegetarian options available. Reservations recommended at this popular island hotspot.